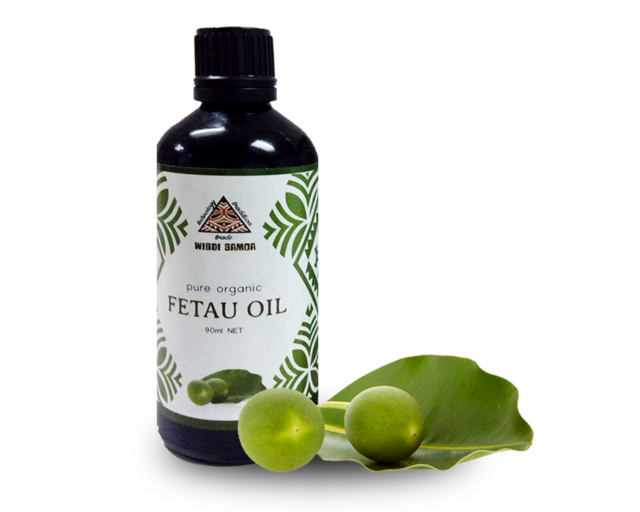 Fetau oil is a traditional remedy with a long history of use in the South Pacific. More commonly known as Tamanu oil, it's greek name Calophylluyn means beautiful leaf. 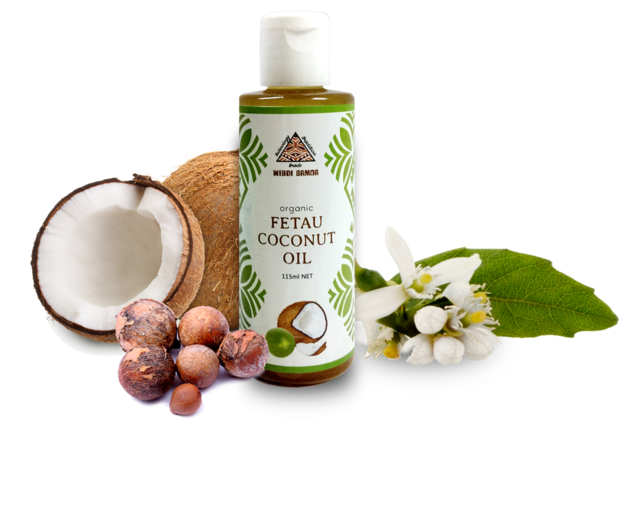 Fetau oil is a significant topical healing agent with skin healing, anti-neuralgic, anti-inflammatory, antimicrobial and anti-oxidant properties. The fetau nuts fall naturally from the tree. They are then gathered and laid out on racks to dry for two months. During this process, these kernels turn release a strong, rich oil. The oil is then extracted by cold-pressing and filtration. It takes a great many nuts to produce even a small quantity of oil, yet the potency of the oil is amazing. Over the past few years, fetau oil has begun to penetrate the European and US markets, primarily in the cosmetic sectors. For WIBDI, the interest came in 2008 from fair trade cosmetic retailer The Body Shop, who worked closely with the organisation on the virgin coconut oil project.